Alstone Court is a certified Pony Club Center. This means that we provide training for the pony clubs nationally recognised achievement badges and riding proficiency awards for people under 21 years of age who do not own a pony. We hold regular rallies, training days, shows and a non-residential camp in the summer. Riders will have to become a member of the Pony Club and pay a yearly subscription. 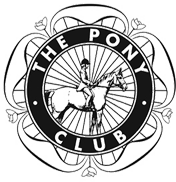 If you would like to become a Pony Club member, please ask a member of staff for more information.